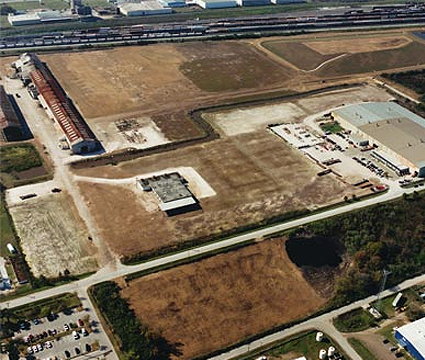 Ardaman has been serving the site remediation needs of our clients for over three decades. Remediation of contaminated sites is propelled primarily by federally mandated programs (CERCLA, SARA, RCRA, UST, the Clean Water Act), state-regulated programs including groundwater protection programs and real estate transfer laws. The actual time frame from the initial investigation to the start of final cleanup typically ranges from several months for less complicated sites to several years for major industrial Superfund sites containing organic compounds. Remediation services typically include two types of activities: remedial engineering and remediation. Remedial engineering generally includes investigation of the contaminated site and the design of a cleanup plan. Remediation, on the other hand, consists of implementation of the cleanup plan by the remedial contractors. Ardaman has extensive experience in providing remedial engineering services to industrial, private, and regulatory clients, and on coordinating remedial contractors and supervising the cleanup activities. Organic contaminants may exist in the subsurface in four distinct phases: mobile free product, absorbed phase, dissolved phase and vapor phase. The free product is known as non-aqueous phase liquid (NAPL) and can be denser than water, DNAPL, or lighter than water, LNAPL. The distribution of contaminants into these different phases is a function of the contaminant properties and site characteristics. 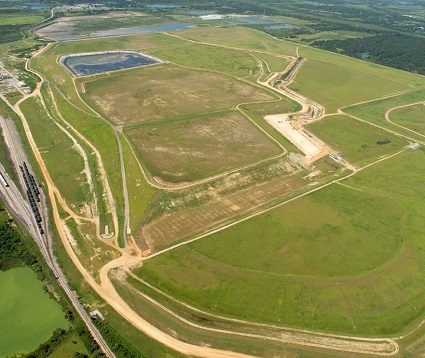 A successful and cost-effective remediation of a NAPL site depends on identifying mass and spatial distribution of various phases of contamination. This is specifically true for sites contaminated with DNAPLs such as chlorinated solvents, cycosotes and PCB oils. We believe a team approach and strong project management are essential to effectively remediate a site on schedule. Based on the complexity of a project, we construct a project team consisting of diversified professionals (e.g. engineers, scientists and technicians) and client representatives. We emphasize cost-effectiveness and client satisfaction without sacrificing technical integrity. A comprehensive site assessment along with a risk assessment, specifically for DNAPL sites, is critical to identifying the type and extent of contamination and to develop a cost-effective remedial action plan. We realize the significance of phased approach for site assessment, and accordingly provide a wide spectrum of hydrogeological and remedial investigation services to tailor specific needs of a site and the client. We understand the interdependence and feedback process of contamination assessment and remedial action plans. Based on the findings of a contamination assessment, we identify remediation phases (vapor, soil, groundwater and free products), and develop remedial or corrective action measures. We evaluate the cost-effectiveness of an integrated approach that addresses interim and final remedial measures. Contamination remediation for public and private clients. Based on the availability, suitability and cost-effectiveness, we evaluate the applicable treatment and containment technologies for source control, migration control and/or treatment considering both interim and final measure(s). Established and innovative (emerging) technologies are examined during the selection process. Oftentimes, emerging technologies are crucial in the timely and cost-effective cleanup of DNAPLs. We conduct feasibility and treatability studies for contaminated sites and prepare conceptual design for site remediation. In addition to technological viability, regulatory and site-specific considerations are appropriately weighed during this process. After the conceptual design, we perform or coordinate the detailed design for remedial construction. We provide professional services to act as a liaison between remediation contractor(s) and our client(s). We will coordinate, supervise, and provide quality control monitoring during the remediation phases.